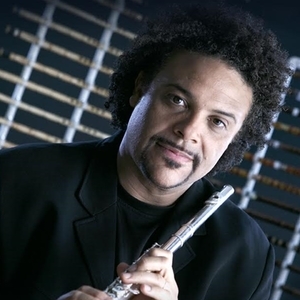 Pedro Eustache is a creative solo flautist – “World Music” woodwinds-reeds-wind synthesizers and composer with extensive academic studies and more than 35 years of professional experience. He has more than seven years of symphonic experience and a collection of around 600 instruments from all over the world, many of which having been created, built, designed, and/or modified by himself. Pedro Eustache is sharing hope with us today. So Pedro, I am just a curious little three-year-old in my head and there’s so many questions I have for you because of what you do for a living. So, those listening along with me, Pedro is one of the world’s premier flute players and woodwind players. This guy has a collection of over 600 instruments – that’s what Wikipedia says. I’m sure it’s more by now. Venezuelan-born, played all over the world, has so much experience with orchestras worldwide, people pull him in to do what he does, so he’s a musician but he also has a unique background and a connection to this subject of hope and he has been generous enough with us, with his travel schedule and everything else to share 30 minutes with us and tell us about his view of hope. Before we jump in there Pedro, just where are you today, what are you doing, what’s the past week been like, what’s going on in your world? Oh my goodness. First of all Chris, thanks for the opportunity to share over something so incredibly and crucially important like this. It really is my privilege to be able to be in this project and thanks for allowing me the opportunity to share. I am home. I am in the Los Angeles area, north of that, a city called Castaic. I’m still a little bit dizzy because of jetlag. I was recording today all morning for a TV series called American Odyssey with John Debney who is the same composer of The Passion of the Christ with whom I played for the sound score of that incredibly powerful and historical and iconic movie, Mel Gibson’s The Passion of the Christ. I had the privilege to be the main woodwinds instrumentalist in that soundtrack. Last few weeks have been really something of a blur to me. I just got back a few days ago from Monaco. I was in, what’s it called, Club d’Azure which is in a beautiful city between Nice and Monaco called Beaulieu sur Mer. Before that, I was for a week out in Marrakesh, Morocco after one night in Madrid, Spain. After that week, it was another week in Beirut, Lebanon for two concerts and after that I was back in Madrid for a series of things I’m doing with my new direction which is woodwinds or world woodwinds in electronics which I’m calling Globaltronics. With that, I was five days in town and I did recordings for video games and what-not. Right before that I was in Reunion Island which is in the Indian Ocean or Madagascar, 11 hours flight from Paris. Two days before that, I was in Montreal, Canada and before that I was two weeks in Spain doing the scenes of The Passion of the Christ, the recording of the Cathedral which is inside the Mosque in Cordoba with the Cordoba Symphony Orchestra and a huge choir, see we have a choir plus a hundred voices and having also an electronic concert with Pedro’s Globaltronics, a new direction I’m taking, in a huge theater in Madrid, Spain. This has been last week which is a lot of activity, but God’s blessing, so and so. Working musician, I’m not complaining. That’s incredible. I’m sleepy just thinking about that. I’ve got a million more questions because of the video games and the movie scores – wow that’s fun! But, I’m going to hold off, I’ll wait till later. Let’s get to question one. Pedro, you know how this works. We ask each one of our guests, we have a thousand guests that we’re interviewing from all over the world, from all walks of life. So, each one of the guests’ five questions about hope. Question 1: In your words, your definition, your favorite quote about hope, anything like that. What is your belief about hope? This is very difficult because I might say that hope is literally the reason why I am alive. I don’t want to sound dramatic or over-the-top or any of that. I’m very direct, I’m very factual, I’m very what you see is what you get, I’m like a New Yorker, I’m a straight shooter. I speak my mind. I’m not very shy and I’m very flagrant, I’m very frank and that is the reality with me. Hope, I believe, is an expectation of something that can be fulfilled. Now, for me literally, hope is a reality, a name and last name and hope for me is Jesus, Jesus Christ, the son of God, the hope of not only humanity, of myself and everything concerning hope in my case, in my life, in my life’s experience which is very heavy, comes from there. If I didn’t hope, Chris, I don’t know if I’d be talking to you right now. I’m straight with you. I’m embarrassed to admit this, but it’s the truth. Hope allows me to keep smiling in this life, to keep grabbing life by the horns, like we say it and to really expect for a reality that will be a continuous but elevated in nth in another dimension. Hope for me is the expectation of an absolutely extraordinary thing to come. Wow. That’s a powerful, powerful definition. Great answer. So, piggybacking on that answer, your definition of hoping for things to come and things that can be fulfilled and even referenced your connection to Jesus Christ. Question 2: In those directions, who has shared the most hope with you? Is there any one single person or a group of people even who have really delivered that to you in a powerful way? Too many to mention Chris, but it all started in my own family. I want to make something very clear from the onset, I don’t want to sound religious, bigot or like a fanatic or something. Not at all. You just heard me mention incredible countries. I had the powerful, incredible, extraordinary honor, privilege to not only do two concerts in Lebanon, in Beirut with Michel Fadel, a fantastic artist, pianist, soloist and producer. But I also had, piggybacking on that, the opportunity to share in a church in Beirut. I had the privilege to tell them there in the Middle East why as a global citizen, as a world traveler, as somebody who experiences many different cultures and countries and traditions and views and convictions and philosophies and belief systems, why was it the right belief that only the cross was the way. I had the great opportunity of impacting somebody I believe to make a decision. My point is, as a musician that I am, music doesn’t define who I am. What I do doesn’t define who I am. Who I am defines what I do and who I am is I am a human being that has been literally rescued and has been brought back from a place of desperation which is exactly the opposite of hope. Somebody that has been taken from a place of hopelessness into my reality now. As a consequence of that, springs forth from my heart and from my soul, from my mind, from my breath, from my fingers an expression that is nothing less than gratitude and recognition to the one that gives me hope. So again, it’s not that I’m trying to insult people’s intelligence by trying to sell ideology or trying to proselytize, no not at all. I respect all belief systems. I love my friends who do not necessarily share my conviction, but my point is I’m not trying to sell ideology. I’m not trying to sound fanatic again. I’m literally an artist who speaks out of his own experience. My experience is that the music I do is a consequence of the connection, the vertical connection I have with the creator through the cross who was the one that gives sense and direction to my life. Based on that, I cannot mention one person that physically has instilled this in me more than anything, but I would say that one of the first huge influences in my life concerning this has been my family. I come from an incredible family. My parents were born and raised in Haiti, a beautiful little island, very poor island in the Caribbean and they immigrated to Venezuela 17 years ago or something like that. That’s why I was born and raised in Venezuela. They are people who fear God, they are people who are Godly people. I’m the sixth of seven siblings of six boys and one girl. I’m number six and all of us saw in them the reality of something that reflected, what we’re talking about, that reflected the power of hope. You know, that’s a great story of your faith and the respect for others. I totally agree with you on that and just the connection that your parents and a few others and so many others, I know you have said, but in particular your parents, just a rich heritage. You sound like you have people who have really loved you, behind you. That’s really great. You’ve referenced a little bit of maybe what’s going on back there in your past and you’ve accepted this interview. Everybody accepts these interviews for different reasons. It’s fascinating to me who says but why is always my question. Why do you have a connection to hope and you’ve expressed a little bit of that. Question 3: Tell us, what is that time, take us back and paint that picture of what was going on when you really were down and out and you had to have some hope to get through? A lot of people are listening and I’ve been there and you’ve been there where we may be at a place where it doesn’t seem like there’s a chance and it’s not going to work for us. That is true. That is true and in fact Chris thanks for the question. Again, this is something so fundamental. This is something so relevant. This is something so life-defying, my own life experience. Again, I will not get tired of sharing this because people who are going through stuff need to hear that there is hope. I remember a movie, The Shawshank Redemption, in which one of the guys told another one, “Hope is a dangerous thing” and I disagree with him. I think NO. I think hope is an amazing, extraordinary, life-giving thing. What I’m talking about Chris is the loss of our daughter – 27 years ago, going to 28, we lost a beautiful little three years and nine months beautiful little daughter. She went to eternity in our arms in Valencia, California 26 days after my wife, Sara, we set foot in America, in a strange land basically with no support systems. We’re literally coming into a new reality, into new culture and to a new place – geographically, culturally and she gets called to eternity 26 days after she walked into this beautiful, blessed land. Chris listen, this is why I tell people that this is the reason why I can say the cross is “the” way. Please hear me out in this. This is incredibly intertwined with hope. I will explain. I don’t know if you’re a father, but anybody that is a father or a mother knows what I’m going to say right now. When you have a kid, that kid is worth more than your own life. The mama bear is the most dangerous thing you can face in a forest even if you are a grizzly or three times bigger than her because she will do anything to defend her cubs. In a father, convince me at my logical reasoning, thinking state that only the cross was the way because Chris, what I went through with my beautiful little daughter, what my wife went through with her, we told God, please take us. We lift it already. She’s only three years. Please let us take her place. A father will do anything to defend his kid, his daughter and son from any harm. A father is willing to kill to protect and to rescue or to guard from any harm his kid or her kid. So, the fact for me, I went through what I went through. She died of brain cancer – three years, nine months. How do you deal with that? That doesn’t make any sense. We live in a full creation. I am completely convinced with that, but even in this full creation, there is an order to things. Kids are supposed to bury us, not another way around. My faith got challenged and my convictions got challenged. Nothing made sense, then an incredible, paramount, indescribable, powerful reality of hope came. Thank you. I don’t know what else to say. Thank you. It makes a lot of sense Pedro. It really does. You’ve come through a lot of dark days and you’ve come out with hope. What are you doing with it now? Question 4: How are you sharing hope today? How are you taking that forward? What’s helped you, how are you sharing those. Literally Chris, I cannot stop, I cannot compartmentalize, I cannot separate myself from who I am. This is funny. I’m covering many things here, but your questions are fantastic and I think you’re good for the opportunity. This is golden opportunity to share really. This is important. There’s a lot of stupid things in the world and a lot of negativity. It is wonderful that we can share this. It’s important that we can share this. I cannot stop being who I am. Many times I am asked, well how do you manage your secular activities, playing secular music from playing holy or sanctified or… I call it, what are you talking about? I am who I am. I wake up every morning, I’m the same guy who went to bed last night. I am a person who follows Christ 24/7. Even when I fail, I’m a failed follower of Christ – he comes and rescues me. I don’t see anything I do as secular because secular means the absence of spirituality. I cannot have that taken away from the reality of my life. Like I said this morning, I was playing in a studio in Pasadena for a series, American Odyssey with John Debney. Every note I play, I play for the creator. The greatest musician of all history. My hero concerning music is J.S. Bach, Johann Sebastian Bach. He said that music existed with double purpose. It existed to glorify God and to submit the human soul, to elevate the human soul. I would have been rescued from a place of hopelessness and living a life of hope. My expression this morning was an expression of gratitude, an expression of reconnaissance, recognition…Literally I’m describing worth, you can call it worship. The One with capital ‘O’ that rescued me from horrible, dark hole of nothingness, just hopelessness because you have nothing when you’re hopeless, to a place of incredible purpose. What I do is in every note I play, I share hope. In every word, I try to convey hope. There is a great thinker, I think it was St. Francis of Assisi that said “Preach the gospel at all times and if necessary, use words” or something to that effect. That’s my life. Far from being perfect. God knows I’m not perfect. I’m perfectible though and hopefully today I am less bad than yesterday, allowing him to do his thing through me, in spite of me. I always say that I have a PhD in spite of this. What I do again, I have many shortcomings, I have many weaknesses, but I also have some assets. Some of my talents, my gift and my assets, one of them is to share – to encourage people because I don’t enjoy when people are belittled. I have suffered a lot of that in my life and discrimination is a reality in many places in the world including America unfortunately. I enjoy very much encouraging people and nothing can encourage better people than something that is based on hope because literally if we live our lives without… We can hope for many things, but things may not happen. Something I didn’t say in the beginning which is incredibly important, faith and hope, for me in my life, go very together. My definition of faith we know is literally the conviction of that that I don’t see – the complete certainty of things to come and that is very, very, very close to hope. Some people hope – like the saying goes “We hope for the best and prepare for the worst”. That doesn’t mean that the good thing you are expecting will happen. In this case, if I didn’t have the certainty that my hope is real, I will not be alive. Awesome. So, people like me who – I’m not on stage all the time, I don’t have a huge following and I don’t know who else is listening, but there are people today as I sit, there are 36 countries listening to this and most of us are probably just regular folks. Question 5: How do I start growing or sharing hope? Either way, how do I start growing personally or how do I start sharing it? Just some simple A, B, Cs. What do I do to begin? I don’t think there are formulas in life. I don’t think life is formulaic, but if I can share something, I will go from something very rational, very reasonable. I’m a very logical person. I’m very heavy into C.S. Lewis by the way and people like Ravi Zacharias and people like Pastor Jack Hayford. They are big influences in my life now. Number two, once you have opened your heart and hope has entered your heart – because the reality is without God’s love, you are literally heading 200 miles an hour to a place of hopelessness. When you accept God’s love, you have hope, you have turned, you have made a 180-degree turn. Now you go to a place of significance, a place of direction, a place of purpose, not an easy journey, but you are heading on a wonderful direction. What I would recommend after that is to grow in hope. I would mean as a human being, to grow in the significance of what that hope means. How does that translate? How does that manifest itself or himself? I defined hope at the beginning of this interview with name and last name, Jesus Christ the son of God. For me, it’s a daily blessing to try to know him better. The more I know him, the more hope I have, the stronger, the deeper my hope becomes, the clearer my eyesight becomes, my perspective in life. Number three, once you have acquired hope and you try to grow that daily, apply it. Enjoy it. Share it. Those are the A, B, Cs I will probably come up with. All of this Chris, I’m telling you, I didn’t think about this. It just came to me right now as I’m talking to you. Okay. Let me see if I can summarize. So, you’re saying if you don’t have hope, first go and get some. I love the way you’re saying that and you’re referencing John 3, a book called John in the Bible, chapter 3 and then once you understand that, you’re saying grow in hope – meaning continue to develop that hope in the reference you’re using in Christianity or in a relationship with Jesus Christ and then number three, you said grow in applying it. I think you actually said the word enjoy it. Share, apply it and share it. Yes. I don’t think I’ve heard anybody say “enjoy hope” yet in these interviews. That’s a really interesting word. When I began this, I didn’t say I’m a Christian. I said I’m a follower of Christ. Unfortunately, there are times Christianity has connotations that unfortunately, many times, sadly, I need to recognize I have very little to do with Christ. I want to make sure that people understand that I’m not talking about a religion. I’m talking about a relationship through the cross. They might be two completely different things. Simple Christians, through history, have done horrible things and I have friends in Indonesia that told me, still they’re telling me about the crusaders and he’s right, they were wrong, but they didn’t have anything to do with Christ. I want to make sure people understand that I’m not trying… You see in the Middle East, people think all the west is Christian and in India, people think that everybody in India is Hindu. No. There are other realities that I’m talking about. I cannot talk for anybody else. I’m talking about my own personal life experience. I’m talking about something which is so much more than any tradition although I love traditions and I respect that or any culture or any geographical thing. It’s not that Christ is for westerners, heck, Jesus wasn’t even a westerner. He was a Palestinian Jew. Wrap your head around that one. He was a Middle Easterner. I’m talking about something that is not geographically defined or something that is a tradition or something that is culturally sent over me – no. I’m talking about something that changes lives and it changed my life and it defines who I am that’s why I say go get some, enjoy. Live it, enjoy it and share it. Awesome. That’s the end of the questions and for anybody who’s listening right now or reading this transcript or whatever language you’re listening or reading in, there’s really no magic to how we pick these interviews. Just so you know. I’ve mentioned this once or twice before because sometimes people get offended by a certain brand of what seems to be religious commentary or a lifestyle choice one way or another or political affiliation, whatever it may be. We are doing an interview with 1000 people worldwide and Pedro, we actually chose you because of your talent and your musical ability and the fact that you’re a Venezuelan-American as well. So, I had no idea where you’d go with this, but I love your story of hope. There is so much goodness there and honestly there is so much hope there. So, if people are interested in knowing more about you as a person, your music, what you’re involved in, your projects, where can we track you down? Oh very easy. You can Google my name or you can go to PedroFlute.com and there are things in YouTube if you put my name, again, Pedro Eustache with a flute, many things come. Something I wanted to clarify real quick, also Chris thank you again for the privilege of being interviewed. I really count this as a great honor. Thank you because there is such a meaning on this, you see, it’s not only that you interview me and I’ve got a gazillion interviews because I’m an artist and I’m here and I’m there and I’m doing this and I’m doing that. This is beyond that. This is something that has meaning and has a real purpose. This is something that is again, to my own life because I personally believe that all the things you mentioned and working with so many great artists, so many great projects are simply things that the creator has allowed in my life for me to have a platform so I can share these, the most important things. Those things I do, I want people to understand that it’s not my capacity. It is something I have been blessed with that I developed, it is my duty, it is my privilege and it is my blessing to, every single day, try to do something and to develop what I’ve been given. I want openly to say that what I do as an expression is not to glorify myself. I don’t get any credit from that, I want to give the credit to the creator. For any music that people will see me, if it’s with Yanni or a duet with Paul McCartney or if it’s a music again of The Passion of the Christ or Kung Fu Panda’s or Rio 1 or 2 or Ice Age 1, 2, 3, 4 or Godzilla or all those things, what is coming now is World of Warcraft, all those things, what I do is a consequence of God’s blessing in my life and the music I have is a gift from God. I give him the recognition for anything that I do which is good. Awesome. We will look you up. I’m going to spell your name one more time so people can get it. Pedro, thanks, you’re just brilliant. Pedro Eustache, if you Google that name or Pedro flute or look up on several of the major social media channels, we’ll have all those links also at isharehope.com and you can find out even more about the interview, full transcripts and all that stuff there. Okay. Love it. Well, my friend it is great to hear about you and your hope and to share hit. Pedro, you’ve been a blessing. Enjoy the rest of the evening and get some sleep. All right my friend, have a good one. Thanks. Keep me posted Chris. Great honor to have met you and my pleasure to have you here today. God bless you all. So, you’re doing the video game thing, you’re playing the flute or woodwinds or whatever for video games. You mentioned one a minute ago, which one was it? I’m embarrassed to say it, but horrible things at World of Warcraft and thanks for that. Why did they call you? You’ve rattled of a ton of movies a minute ago, why you? Literally what happened is a chain effect. When I was with Yanni for 11 years, that exposed me with huge videos. Yanni needed huge, huge videos in Taj Mahal and things like that. That exposed me really and then they saw this, the movie guys saw it and they started calling me. I’ve done thing with John Williams, which is amazing. I did Munich, I did Indiana Jones 4, I played of War Horse with him, Spielberg was there and everything, so yes, I mean this is God’s blessing. I did Godzilla last year. Are you kidding me? I’m going to tell you one, The Passion of the Christ. I’m going to go to The Passion of the Christ, but one that people can hear, I mean literally all of Kung Fu Panda, all the lute there is me, all of that. Yes. All of stuff in How to Train Your Dragon, like in The Passion of the Christ, the woodwinds one is me. Like for example, that very scene on Gethsemane which has to do with what I said in the beginning of Christ saying to his dad, Dad please if there’s another way… Literally, that is a flute I made because I’ve made many of my instruments. I’ve made like a hundred instruments. It’s a giant bamboo flute from India in which I harvested the bamboo from Hawaii and I made a flute here at home in my workshop. That is a flute, a giant Indian flute called Bansuri – which I call the King’s Bansuri because the Lord gave me the idea how to do that. Normal Bansuris have six or seven holes, mine has 15 holes. I can have many, many more sounds than normal, traditional Bansuris, the flute from India. The thing is, that is a very precise scene, the cue with the blue moon on the garden of Gethsemane. When Jesus comes to Pilate, there is the Zurna there. When Jesus comes to the Sanhedrin, the Pharisees, there is a saxophone made with a horn from an antelope called oryx, so I call it oryxophone. Really? Saxophone with an antelope horn played in The Passion of the Christ? Yes and that is when Jesus comes through. That’s the sound of the Pharisees. And then, check this out, this is amazing. When Simon of Cyrene carries Jesus’ cross, which is a very painful scene, there is this double, beautiful instrument from Tunisia which jokingly all the time John Debney calls a philistine because the sound is [screams] and it’s called a mezoued. John Debney, the composer, said better bring the philistine, we need the philistines for this cue. Then, I found out, this will blow you away, this is amazing Chris. God’s serendipity, it’s not serendipity, it’s my serendipity. God knows everything. God doesn’t act in serendipity. It’s amazing when I was checking out – this thing comes from Tunisia and I was checking out Simon of Cyrene, I was checking out where Cyrene was located. Guess where Cyrene is located – dead center of Africa which where Tunisia and Libya are today. So, we’re playing an instrument for the scene with Simon of Cyrene without knowing that I’m playing a horn which comes from a place where geographically Simon was coming from. Wow that’s cool. So, when you’re doing a movie or a video game, are you and the other orchestra members, if you’re there with others, are you all watching the screen or is it all done off clicks? I mostly play as a soloist, so today I had my screen in front of me. I’ve done many things with Hans Zimmer also. He says I’m a good actor because I follow the scenes, but also when I play in orchestra, the screen is behind us because the conductor is in front of us and then there’s this huge, giant screen behind us which he has because he has to follow while he conducts the orchestra. We cannot see the scenes because basically they’re behind us. But, when I am a soloist which is the specialty thing I do, I’m like the specialist in the studios in Los Angeles for what they call world woodwinds or exotic winds or ethnic winds, then yes I have the screen with us. There’s a Tutankhamun thing that will come these days as well, so yeah we follow the screens. What’s your favorite thing to listen to? What are you putting in your earbuds, you’re on the airplane and you just need something to rock out to? There are so many of them. Two weeks ago, Chris I was a key speaker for a three-day conference thing in Madrid called Madrid Music Days for DJs and producers and things. I was sharing in one of the conferences – Fundamentals for DJs and electronic music producers and what-not and later in there I went from Mozart to The Prodigy to Gary Numan. I had some also from Robby Sinclair, I listen to Jimi Hendrix, I listen to Duke Ellington, I’m a mad man for Emerson Lake and Palmer. I listen to Snarky Puppy, I listen to Bach, I’m a Mozart freak. I listen to anything that has worth on it. I listen to everything and I retain the good things. I do what Saint Paul says, I go, I study all things and I keep the good things.